The nearest postcode for the church centre is BS21 7UE. What is St Andrew's Church Centre used for? 1. The Centre is used for various gatherings and activities by the St Andrew's congregation, such as the BFC (BIG FRIENDLY CHURCH) BREAKFAST CHURCH service on the first Sunday of each month, Sunday Club on other Sundays, Toddlers and Craft Group. More information on these groups can be found their respective pages. 2. For hire to many local groups, such as dancing classes, leg clinic and acting groups. 3. Individual private hire is also available, and extremely popular. The excellent all-round facilities, such as the several rooms of various sizes, the kitchen, patio area and walled car park make this a very convenient place for meetings or special occasions. 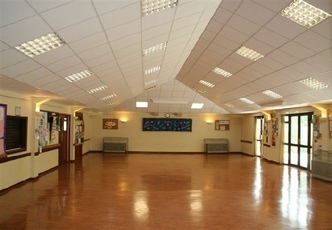 the Main Hall (150 sq. m), the Walters Lounge (50 sq. m), and the Rees Room (35 sq. m). To enquire about hire, please contact Eric or Lucinda Holdsworth on 01275 874709. After much prayer and planning and with the dedication and generous giving of many people, the St Andrew's Church Centre was built and opened in 1986. Likewise, it was further extended in 1991 and more recently in 2015 (see video below). 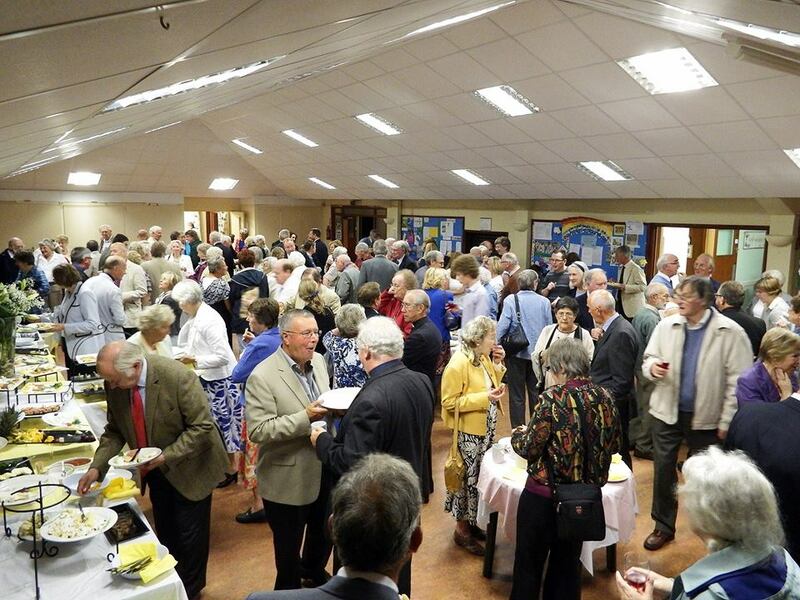 The Centre continues to make a very significant contribution, not only to church life, but also to the local community. It has served us in a whole variety of ways, with many groups using the excellent facilities that it has to offer (see current list of users below). ​It provides us with a really great opportunity to reach out to those who do not come to church. 2015 saw a team of people from St. Andrew's and Andrew House taking on an impressive refurbishment plan of the centre. This included turning one room into a cafe, adding a new atrium, moving the toilets in order to reduce some wasted space and considerably increasing the size of the kitchen. All of this was done whilst keeping most of the centre open for business which was even more astounding. Hopefully you will enjoy seeing the video below of some of the work that was done. Well done guys! Toddler Groups (weekly – Tuesdays a.m. / Thursdays p.m.) contact Isobel Johnson 798330. Civic Society (monthly Sept. to June – 2nd Thursday 19:00 to 21:30) contact Wendy Moore on 874767. Civic Society Local History Group (monthly except Aug & Dec – 3rd Thursday 19:00 to 21:30), contact as above. Mothers Union coffee mornings and supper evenings, contact Frances Kay 876309.